Best B&M book since Water Room. Incredibly amusing, heartfelt and with the excellent characters and twists of a Fowler novel. 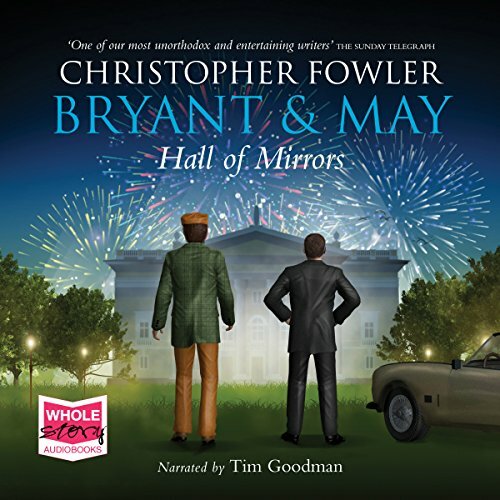 I am a huge fan of Bryant and May and the author Christopher Fowler. I was delighted that a new book had arrived and it did not disappoint. 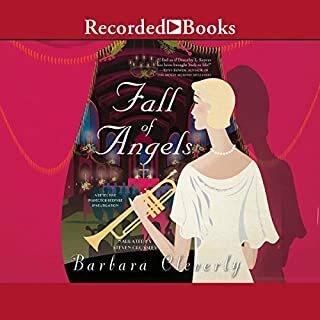 Set in the 60's it is a bit of an homage to Agatha Christie, Dorothy Sayers and the like. It is set in a stately home during a house party. There is a murder and the detectives have to solve it by Monday Morning any way I can't say more but it has lots of red herrings and the plot twists and turns. It was great fun especially all the cultural references to the 60's .I really hope the author will write more about the PCU's old cases I think there is lots more to enjoy. 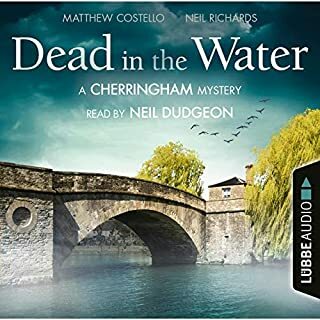 The narrator as always is excellent he does a fantastic job here not only with Arthur and John but in this book all the upper crust characters as well. Possibly the most brilliant and funniest of the series! The narration is perfect, as usual. 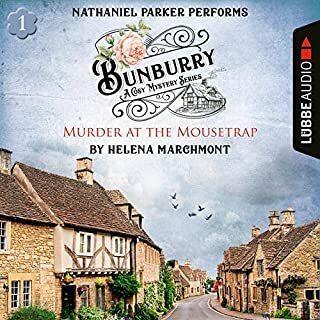 A fresh, smart and humorous rendition of the country house murder in the company of Bryant and May. Operating outside their milieu of London with all her history and complexity, they are at a disadvantage. Their characters are consistent with their beloved older counterparts. A pleasure in any location. Slow starter. Narration is good. Overall, not a bad story. It does drag on and one almost loses interest, but then it picks up again. If you want a long, long story and don't mind the pace, you may enjoy it. 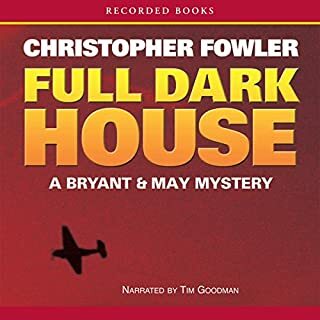 I am always left feeling sad when I have gobbled up another Bryant and May book. I only pre-order three authors and Christopher Fowler is one of them. Tim Goodman is the wonderful narrator that brings all the characters in this series to life. Perfection. I listen to every word. Thoroughly enjoyed it but did guess the twist early on. Quite agree with the voices being old for the prequel but it did mean I knew the characters immediately. The narration is superb, a joy to listen to him. Bryant and May are back. a fantastic foray into the past, retelling an old case from.tbe 60s. A typically eccentric and entertaining story. They are a matchless team! As always a brilliant and entertaining story and narration. May they always shine and never go out! Love the series but struggled with this one., not as good as his other books. 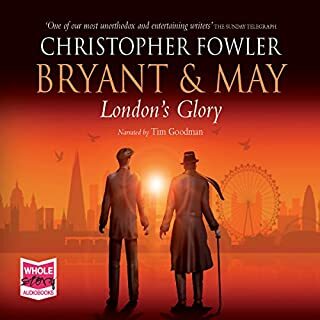 I have great affection for the Bryant and May stories. I have read them all, mainly on audio as Tim Goodman really gives the characters such life. I was so looking forward to this latest book but I was disappointed. I just did not take to the “prequel” format and the “voices” of the well loved characters sounded too old for their supposed ages. I also saw the solution coming very early on. Hopefully the next one will return the pair to their proper place and time! Loved it! Thank you Mr Fowler. Really appreciate all aspects of Bryant and May and was grateful to spend some more time with them in their version of a country house murder mystery. Especially loved Mr Fowlers resonating historical perspective. Think I might have to go back and reread them all! to have a new Bryant and May. I was initially disappointed for two reasoms: firstly because this story goes back to their earlier days and I do so love the older curmudgeonly Bryant and the elder man-about-town May. However having been a teenager during the period in which the book is set I enjoyed the referenced to that time. Secondly in the beginning, I was disappointed that the PCU itself did not figure largely as I love the idiosyncrasies of that department but I soon got over that and enjoyed the different setting for what is quite a different sort of story for Bryant and May. Another gem from Christopher Fowler, beautifully read as always by Tim Goodman. A wide cast of characters and intricate plotting make this an absolute page turner. Slow at the start but in thecend it gives a good back story to Bryant and Mays genesis. One for the fans of the other books.